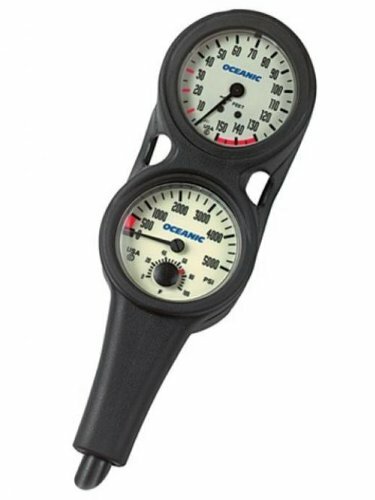 Rugged, inexpensive and fully covered by Oceanic's warranty and reputation.The Oil Filled Depth Gauge is a great value, designed to fit virtually all Oceanic consoles. For the minimalist diver, the Aqua Lung 2 Gauge Console with dive slate provides easy access to the simplest information for scuba diving. 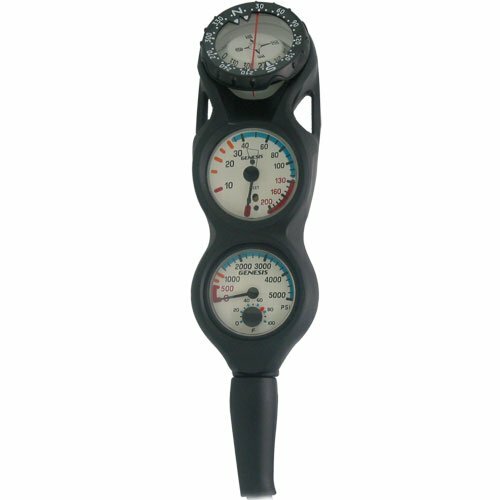 This all-in-one console features a SPG and depth gauge. 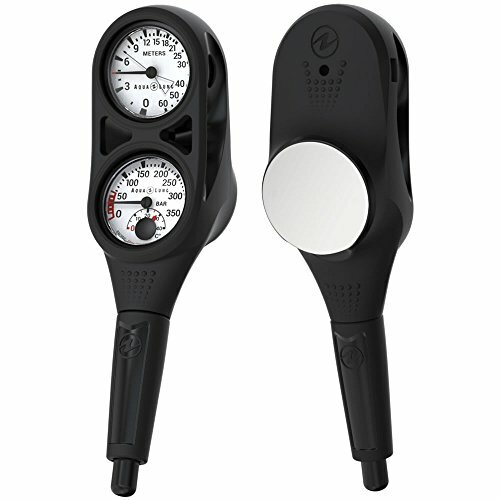 Both gauges have a luminescent face for diving in dark or murky conditions. Set into the SPG is a thermometer gauge to track water temperature. Flip the dive console over to utilize the built-in writing slate for underwater communication with your dive buddy. Aqua Lung 2 Gauge Scuba Console Features: Pressure Gauge 36" hose length Easy-to-read face measures to 5000 PSI/350 Bar Luminescent gauge face for use in low light or night conditions Integrated temperature scale displays water temp information One-way safety valve prevents accidental malfunction Shock resistant Bourdon tube Nitrox compatible up to 50% Depth Gauge Accurate reading, even at shallow depths Includes maximum depth indicator Luminescent gauge face 200ft/60m depth rating This dive console can also be upgraded in the future to add a dive compass mounted on the back side. 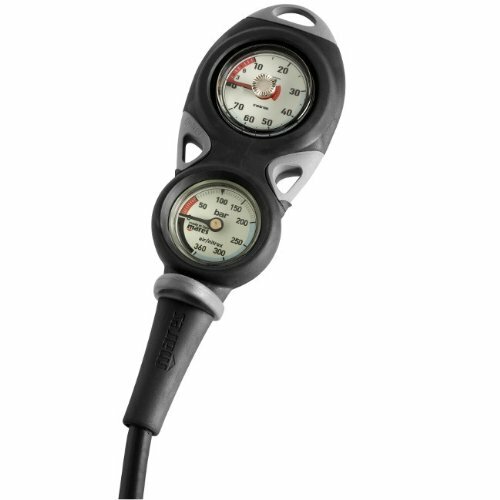 Compact and built to last, this two-gauge console combines a Mini SPG and depth gauge. The textured boot is easy to handle, even while wearing gloves, and can be rigged with a clip or bungee and secured to the diver's BC for a streamlined proﬁle in the water. 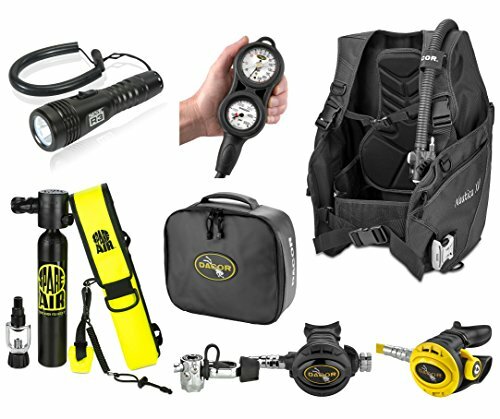 All Brass Construction, 0-5000 psi or 0-300 bar, with Depth Gauge, Hose and Rubber boot. 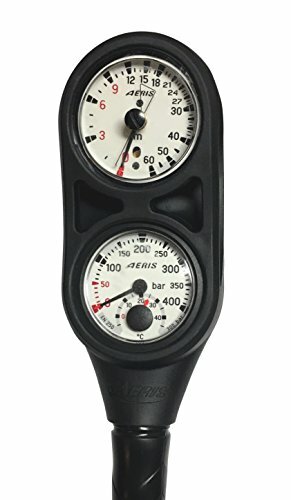 Gauges, Diving Gauges - Analog Brass 2" Pressure Gauge Nitrox Compatible to 40% (The Recreational Limits of Nitrox) Easy to read luminescent dial Tough brass housing with glass lens Housed inside a protective rubber boot with compass. 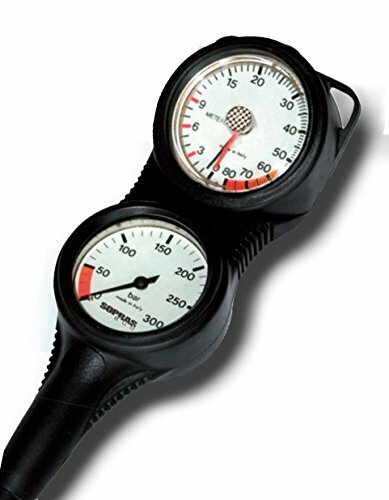 300 bar Pressure Gauge Hose protector included 33" hose included. depth gauge reads to 80 meters. Genesis 200ft in-line console. 0 to 200' w/max. depth indicator. 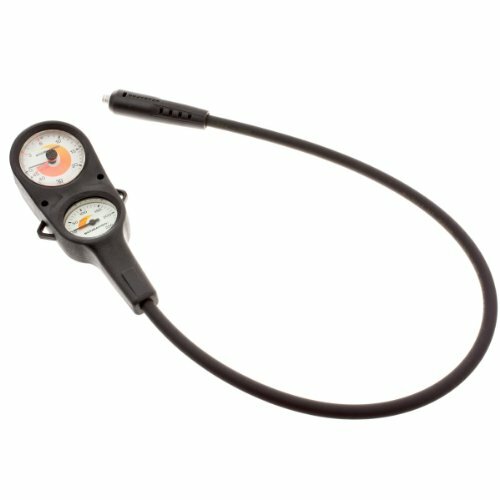 5000 psi pressure gauge w/temp. Compass included. 1.75" diameter.